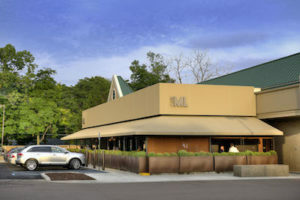 When the Birmingham Bloomfield Art Center (BBAC) hosted their annual Shop & Champagne event, Cafe ML was on hand as a signature restaurant sponsor. The annual late-November party kicked off the Birmingham/Bloomfield holiday shopping season with a strolling supper that featured food from some of the area’s best restaurants – including Cafe ML. Champagne in hand, shoppers previewed the Holiday Shop, which included gift items from over 130 artisans. The fundraiser supported the BBAC education and ArtAccess programs.